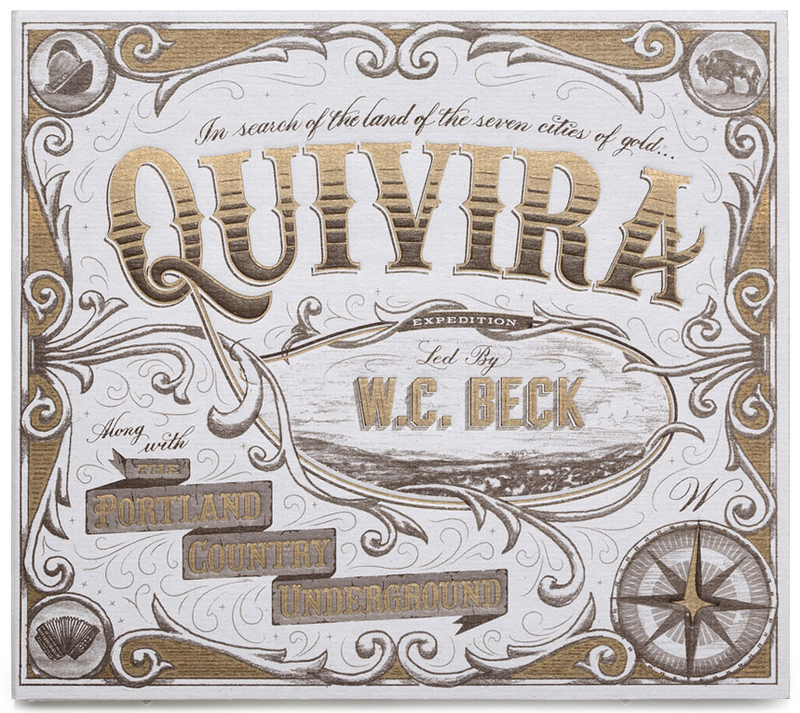 A hand-drawn and hand-lettered album cover for country music artist W.C. Beck's Quivera. The illustrations depict W.C. Beck and the band members of the Portland Country Underground traveling across the prairie in search of the mythical land of Quivera. The album unfolds like a storybook filled with images and graphics inspired by old west typography and iconography.